Prepare, assemble and package Ready-To-Eat items to be shipped to stores. Assembly – Assemble RTE food items. Wrapping/Packaging – Wrap/package and label finished RTE items. Feeding –Place ingredients on conveyors for assembly. Cup Line – placing ingredients, packaging, labeling and packing. 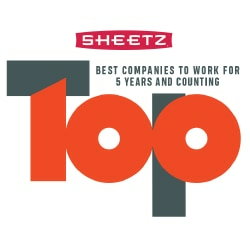 Sheetz, Inc. is a fast-growing, family-owned, food/convenience company that has been in business since 1952. Sheetz has over 600 locations in Pennsylvania, Ohio, Virginia, West Virginia, Maryland and North Carolina. Our mission at Sheetz has been to meet the needs of customers on the go. Of course, things have changed over those nearly 70 years. Life is faster and busier, and customers expect us to be there when they need us most. One thing that hasn't changed is our commitment to our customers, our employees and the communities in which we operate. Sheetz donates millions of dollars every year to the charities it holds dear.